Do you have trouble keeping your mind focused on the pastor's message? I confess, this is something I struggle with every Sunday morning. I am guilty of allowing my mind to wander to mundane things, like what I am fixing for lunch, ideas for my next blog post, and even what I am going to wear tomorrow. I am embarrassed to share this with you, but I know I can't be the only one. We are busy people and it is hard to get our mind to slow down when it's used to multitasking all the time. That is where taking sermon notes comes in! I have only been doing this for the last few weeks, but it has helped me focus on the message and give me something to refer back to later. I have a travelers notebook, which fits inside my bible that I take notes and doodle in. 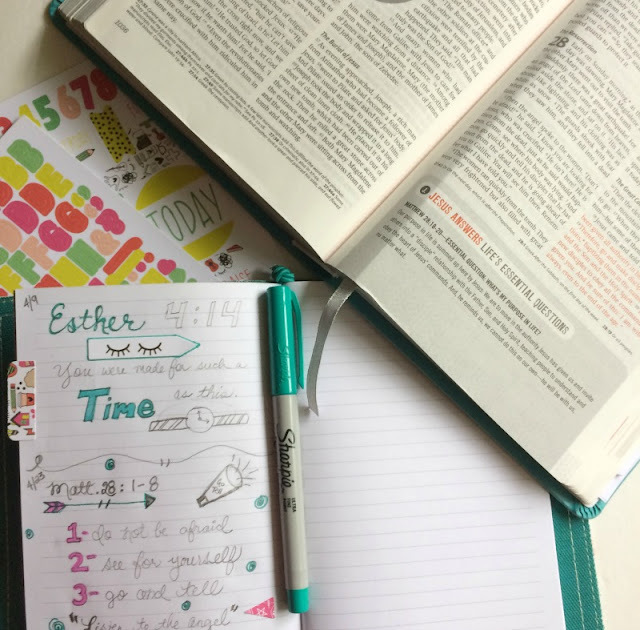 Later, I can refer back to my notes and reflect further on the passage and even journal it in my Journaling Bible. 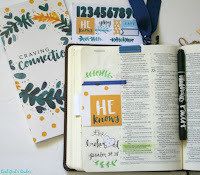 I can also use goodies from an Illustrated Faith kit to create an entry in my travelers notebook. The latest kit from Illustrated faith is called Doodles To Live By and was created by Elaine Davis. 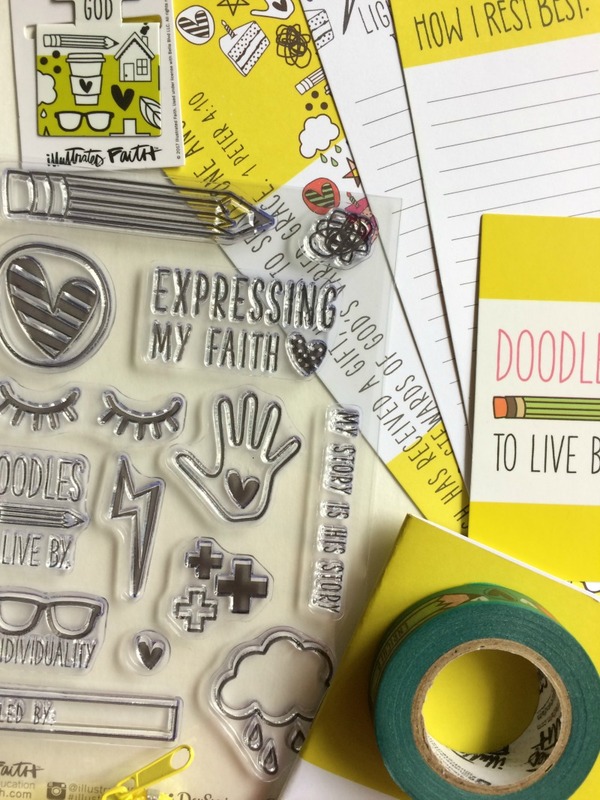 This kit focuses on expressing our faith in a creative way and is filled with tip ins, bright alphabet stickers, cute washi and more! Add color with markers, color pencils, or paints. Decorate with stickers and cutouts or tip ins. 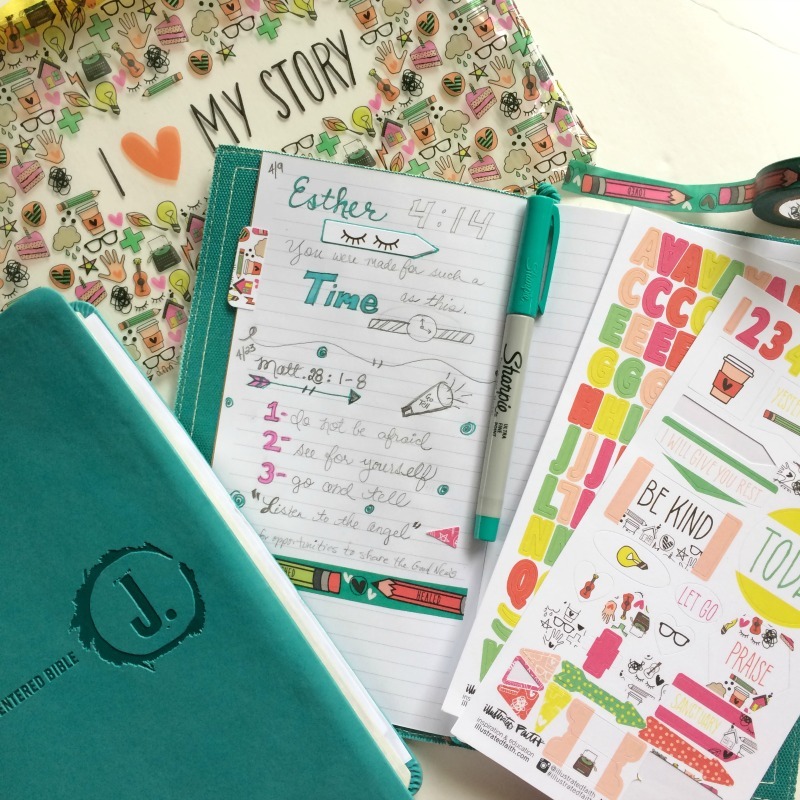 If you are not comfortable enough to take the plunge and use a Journaling Bible, you can still be creative using a travelers notebook. 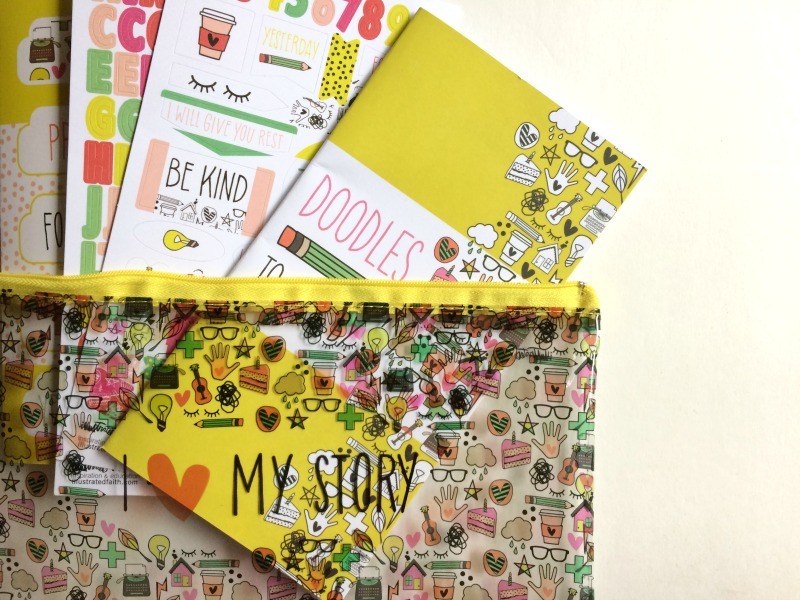 Even if you do not feel like you have an artistic bone in your body, you can at least doodle! 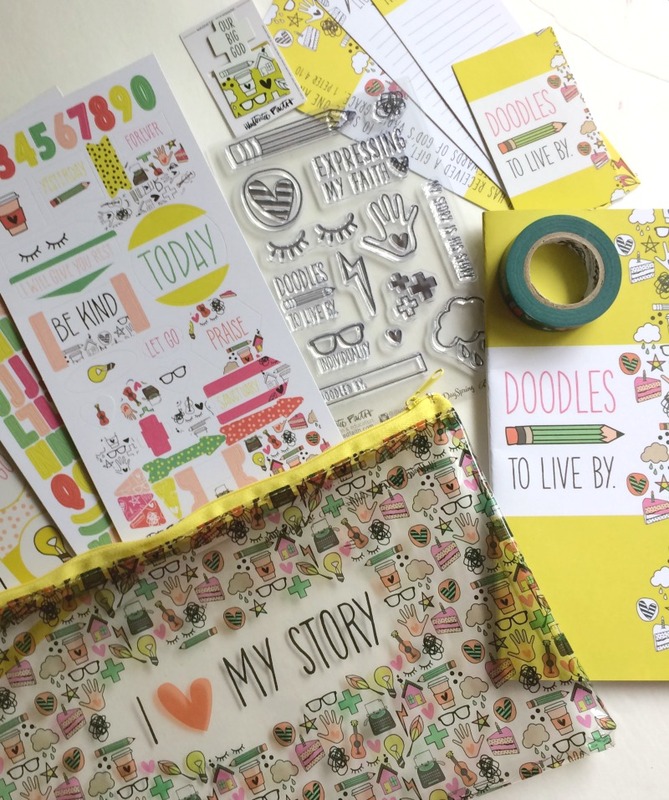 Use the stamps, stickers, and cutouts to decorate your page even further. 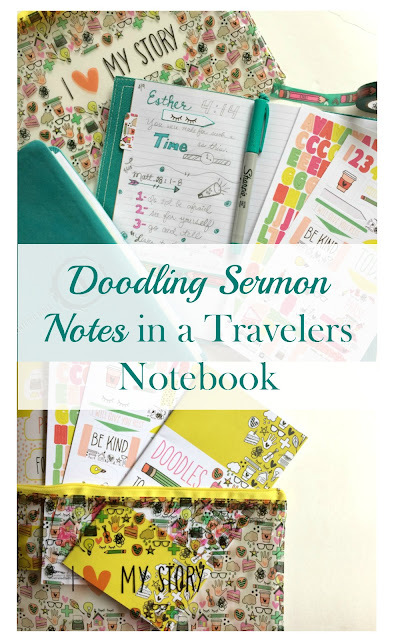 BONUS TIP: The Devotional is the perfect size to fit in the traveler's notebook, so you can keep it all together! 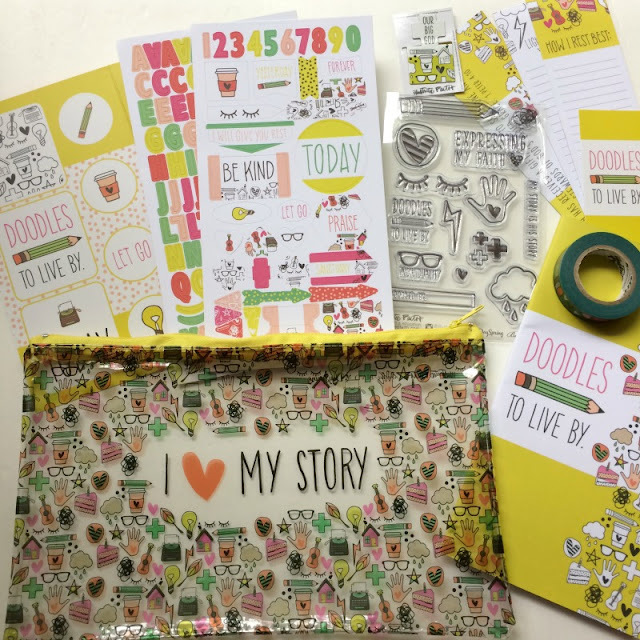 Get your own kit here! 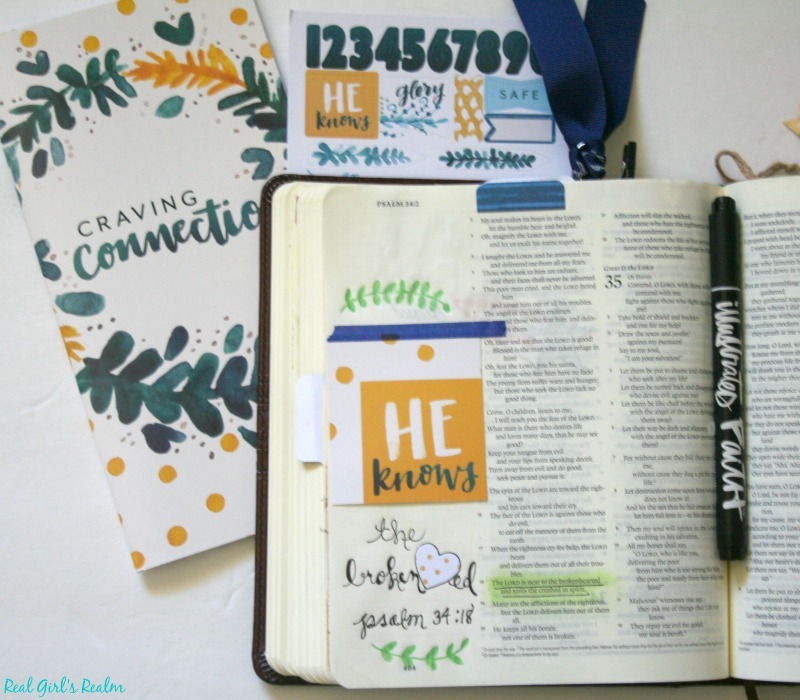 What a wonderful idea to illustrate the verses as you listen! I am sure it is a great tool to help you get more from the message! It definitely helps me focus, then I can reflect later on the passage even more! Oh my goodness, I know! It reminds me of something I would have had in high school! This is such a great idea, especially for someone like me. I do tend to have a wandering mind and I try so hard to keep focus! Also, it makes it even more fun when it's so pretty! It really does help me stay focused on the message! This sounds like a great idea! I'll have to look into this for a few people I know! It is a fun kit!